Free to use vintage poster for you art and craft creations. 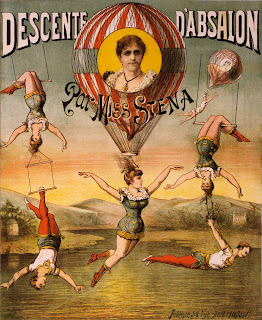 Circus poster shows a group of aerialists performing. Two women are held aloft by a balloon attached to their hair. Created around 1880-1890.